Research assistance is available by emailing us at kresge_library@umich.edu. Or stop and we can assist you in person. Kresge learning support manages course materials for your Ross classes. Your instructor will notify you when your exam or assignment is available. 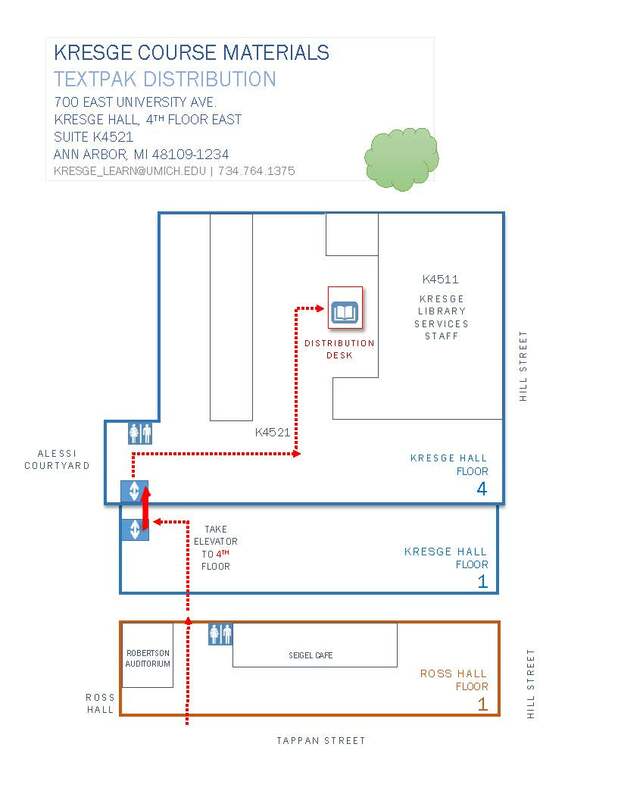 Email kresge_learn@umich.edu if you have questions. Course Reserves are items faculty have selected to make available for a short period of time. They are located in the Askwith Media Library, Room 2002, second floor Shapiro Library. Look for the "Library Materials" tab in your class Canvas site for a list of items on reserve for your class. Alternatively, you can search the Mirlyn Catalog Course Reserves (select this in the upper right) to locate items on reserve for your class.